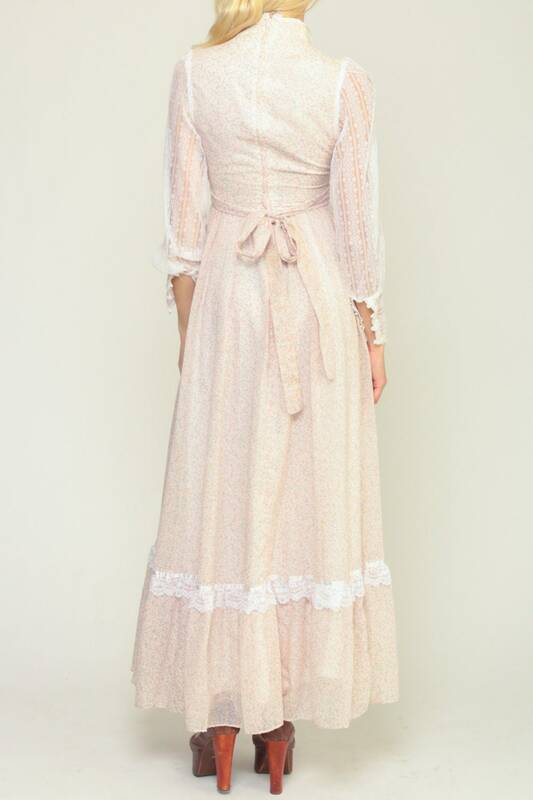 Vintage 70s dress by Gunne Sax in a floral print with lace sleeves and a high waist. Maxi length. Condition: Very good vintage. Has one very faint area on the front of the dress just below the right side of the waist, but it is barely noticeable. Material: Shell is a Cotton / polyester blend with an Acetate lining.